I was recently stuck with a problem whereby neither IIS Express nor Kestrel would load my project. Error: Unable to load application or execute command 'YourProjectName'. Available commands: kestrel, web, ef. 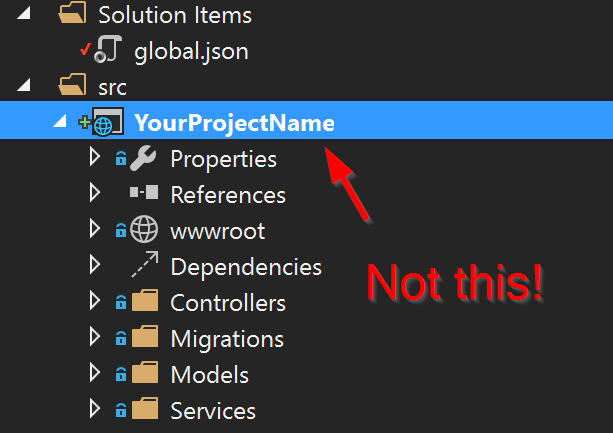 Your project name in ASP.NET vNext is the folder name that contains your project files, not the project name of your Visual Studio project. Yep, it’s the folder name. Make the commands > web entry in your project.json match the folder name and you’ll be good to go.